If you’re someone who prefers to exercise outdoors, you’re familiar with the challenges that cold, rainy Tennessee winter days can bring. You probably take your workouts indoors. Consider this: during the winter, your little ones need to take their exercise indoors, too. This month, we challenge you to get moving — even on the colder days. Yes, exercise is just as important for kids as it is for adults. In fact, it’s probably even more important as children grow and develop. The Centers for Disease Control and Prevention recommends that children and teens get at least one hour of physical activity every day. Even infants and toddlers should have active playtime. But so much of our childhood “play” often takes place outdoors, where there’s freedom to run around and use the imagination. 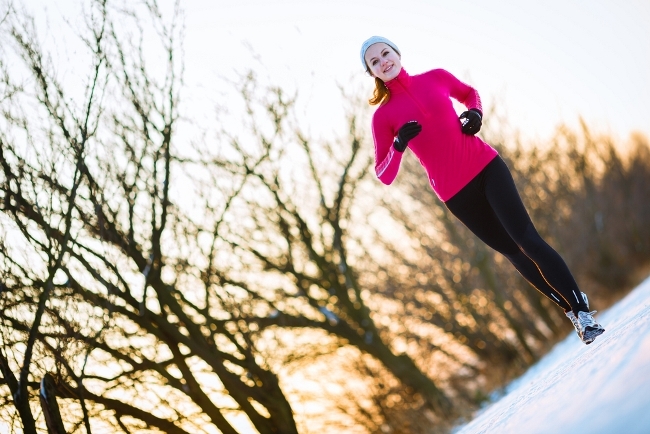 What can you do to keep kids active when it’s just plain cold outside? We’ve already established that kids should get at least one hour of physical activity each day. But why? 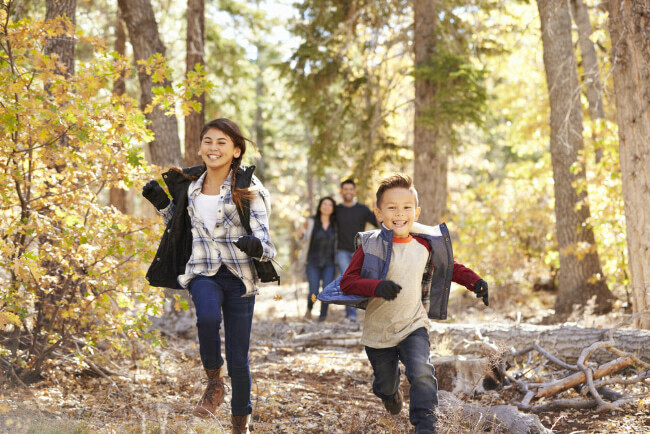 Researchers have found that children and teens who exercise regularly experience a wide range of health benefits, including improved heart health, muscular fitness, bone health and mental health. Kids who stay physically active are much more likely to maintain a healthy weight — a habit that will pay off later in life. Regular physical activity has also been shown to promote academic performance by improving attention span, cognition and information processing in the brain. But it’s hard enough to get your own exercise in when it’s cold outside. How can you keep your kids active, too? Well, if it’s not raining, you can always bundle your little ones up and take them outdoors! The key to staying warm in cold temps is to layer. Put a sweat-wicking layer closest to the skin and a wind-resistant layer on top, with other layers in the middle as needed. Don’t forget thick socks, a hat, and mittens or gloves. You can go to the playground, kick around a soccer ball or go for a walk as a family. Take some bubbles along for that walk — if it’s cold enough outside, they’ll freeze! But let’s be real, some days during the winter are just miserably cold, rainy or even snowy. That makes getting outdoors less likely or even impossible. Get your game on. And we don’t mean your everyday board or video game. Instead, choose activities and games that involve competition but also require physical activity, like Twister or Simon Says. Video games that require movement can also keep kids active. You can also think outside the box — consider “drawing out” a hopscotch pattern on the floor using tape and playing hopscotch for a while as a family. Or build an obstacle course with cushions and pillows. Dance it out. Put on a favorite song and dance to your heart’s content! You’d be surprised how many calories you can burn while having a dance party in the living room. Want to add a little pizzazz? Buy some glow stick necklaces or bracelets from the dollar store, put them on, then turn out the lights and dance! Choose an active adventure. Barring inclement weather that makes travel difficult, you aren’t stuck inside the house, even if being outdoors isn’t a good idea. You can go swimming at a local indoor pool, take the kids ice or roller skating, go bowling as a family, visit a rock-climbing or trampoline center, or even just head to the playground in a local mall. It doesn’t really matter what activities you ultimately choose — the point is simply to keep your kids active, even when the weather isn’t so nice outside. “Cold weather can sometimes trigger coughing with outdoor activities, especially in children with asthma or other lung conditions,” according to Matthew Kreth, MD, pediatric pulmonologist at Children’s Hospital at Erlanger. “We want all children to be able to play actively and freely and never have to be held back due to the cold,” says Dr. Kreth. Children with asthma should consider using two puffs of their albuterol inhaler with spacer device before playing outside — especially if their cough worsens with outdoor activity. 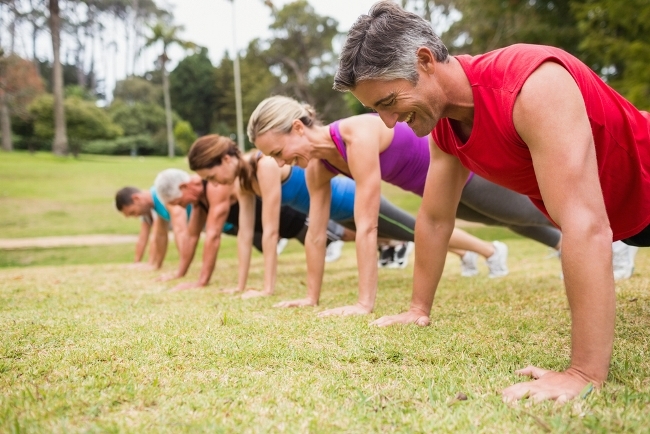 It’s so easy to fall back on inactivity when you can’t head outdoors. Take steps to limit your kids’ screen time and make sure that the activities they’re choosing include movement whenever possible. You’re looking for anything that gets the heart pumping and keeps kids up and on their feet! You and your kids will reap the benefits as they grow healthier, stronger and build vital skills. Not sure whether your child is getting enough physical activity to stay healthy? Talk with his or her pediatrician. Don’t have a pediatrician? Find one here.